It can be challenging for an urban landscape designer to explain how his landscape designs will help a single business. Urbanites have a tendency to pigeonhole all greenspace as shared areas that don't help anyone in particular. This leads to a desire to be located near a nicely landscaped area, but not have anything to do with establishing one. Real estate agents chanting location, location, location reinforce the idea. Business owners are creatures of interior space. The modern economy chains knowledge workers to their desks. Many business owners arrive at work in the dark, and leave after dark has returned. It can be hard for them to put themselves in the place of their customers, and their community as a whole. Landscape designs are the face that a business shows to the public. Even if a business doesn't serve clients at their main location, the aesthetic exterior appearance of their business matters. Something as simple as a Google street view could give a prospective client the wrong idea. Customers assume that if a firm doesn't take care of its own surroundings, they're unlikely to care much about the public. Landscape design firms should stress the benefits of showing an aesthetically pleasing face to the public. Great landscape designs aren't all about the clients. Employees work more effectively, and report more job satisfaction, if their surroundings are pleasant. Many businesses make the mistake of spending all their funds on interior spaces, and neglecting anything outside the building. Employees are happier when the feel a connection to natural elements like trees, grass, and water. Peaceful and attractive outdoor gathering spots improve employee morale. Happy employees are more likely to produce happy clients. Stress the productivity benefits of smart landscape designs. Clients, employees, and neighbors will thank you for improving your surroundings with smart landscape design. One overlooked aspect is safety. Nicely designed exterior spaces give regular users a feeling of comfort. They also send signals to ne'er-do-wells to steer clear. While most of the crime that good landscape design avoids is minor, like graffiti or littering, the effect eventually extends to more significant safety issues. It's smart to tout the benefits of good sightlines, great lighting, and easy maintenance. A business that uses smart urban landscape design to beautify their property sends an important signal to the public. Many business owners spend a great deal of money on marketing and donating to charity to establish their credibility with an increasingly eco-conscious clientele. A business that talks the talk, but looks like it's at war with its surroundings sends mixed signals. Great landscaping shows you care about the natural world, especially in urban settings where it really stands out. When a business improves its infrastructure, it reaps the benefits of increased property values. It's smart to point out that the value of the entire physical plant of a business doesn't begin in the lobby. The exterior spaces of a business are just as important to the total market value of the property as any other factor. 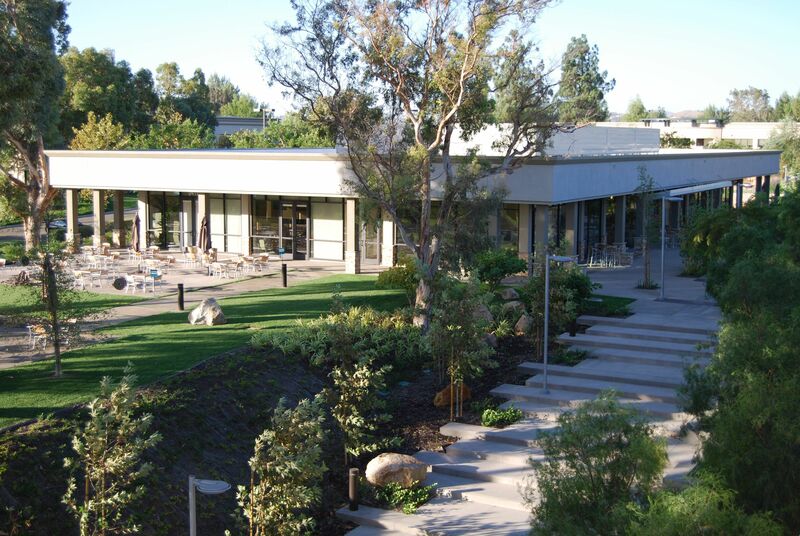 If you're in the Los Angeles area, and you'd like to hear more about the benefits of smart landscape design for your business, contact SQLA Inc. for more information.